June 1978 was a busy month for record buyers. Dylan («Street Legal»), Springsteen («Darkness On The Edge Of Town»)and the Stones («Some Girls») all had new albums out, all well received and all considered classics today. 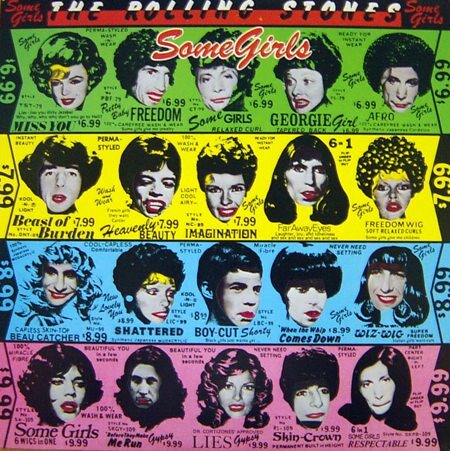 But it was the Stones who grabbed the spotlight at the time as they’d been counted down and out for a while, and «Some Girls» was considered to be a much welcomed return to their old sleazy selves. Most of the tracks were tight and funky rock’n’rollers sporting provocative lyrics that didn’t go down well with with the politically correct (a.k.a. womens lib). Stones wanted to be the bad boys again (being in their mid-thirties they ran the risk of sounding pathetic, but so be it). They didn’t reach the dark and inspired glory of «Exile On Main St.», but they’d never been this close before. There’s also room for a hilarious country & western pastiche («Far Away Eyes»), a groovy, sensual mid tempo ballad («Beast Of Burden»), and an impressively successful flirtation with contemporary disco (“Miss You”). A stack of outtakes appeared as a bonus-CD when the album recently was remastered and released in a deluxe package. These outtakes are of such high quality that “Some Girls” could easily have been a double-album (although it would then have ended up with more of a country flavour to it). Personally, I think “Some Girls” has lost some of its appeal and sounds a bit dated. Actually I prefer the later «Tattoo You» (1981). Some of my favourites tracks on that one are from the «Some Girls»-sessions.